June is a big month for Okta. It’s when we get the results of Gartner’s annual Magic Quadrant for Access Management, Worldwide (spoiler alert: we’re a Leader, again). It also marks Pride month for the LGBTQ+ community. In addition to “pride-i-fying” our social profiles, our employee resource group, [email protected], helps the company come together to celebrate the unique identities here at Okta while also giving back to the LGBTQ+ community at large. Our senior manager of analyst relations, Nick Wood leads the charge on both of these fronts. I had the chance to sit down with him recently to discuss his role and what matters most to him about Okta. How long have you been at Okta? I've been at Okta for just over two years, which feels like two weeks and two decades simultaneously! How did you find out about Okta and why did you choose to join the company? Okta was introduced to me by a colleague who knew I was looking for new opportunities. As I started learning more about the company, I was impressed. Specifically (and selfishly) for my future role, Okta already had a great standing in industry analyst research, which indicated to me a strong product and vision. But even more than that, I was impressed by the people. From my first conversations with the company, everyone I talked to was engaging and so obviously passionate about the work they were doing. And this was also clear on Okta’s customer stories page. It was amazing to see so many organizations willing to go on record to share how Okta was helping them achieve their mission. Not only would these enthusiastic customers make my future job easier, it was another testament to Okta’s strength as a company and dedication to customer success. And the snacks. Can’t forget the snacks. With all this in mind, I knew Okta was the place I wanted to grow my career. 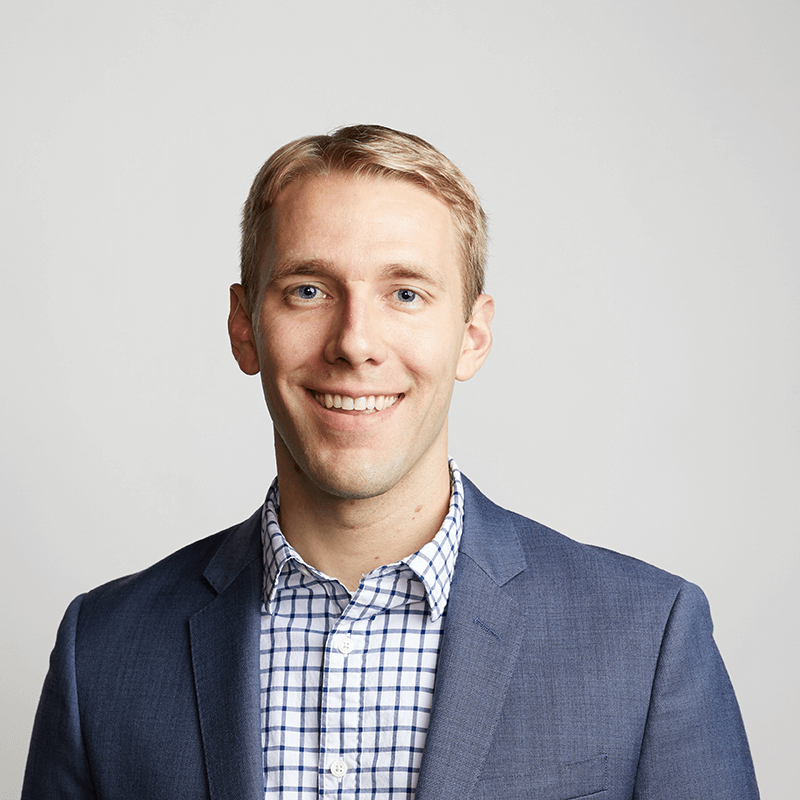 I lead Okta's analyst relations program, meaning I work with the industry analysts who help organizations make technology purchasing decisions through reports, research and direct consultation. I work jointly with the Okta team and the analyst community to make sure we keep the analysts up to speed on Okta, so they have the latest and greatest when they're writing reports and counseling clients. The analysts are also engaged in all these insightful conversations with customers, prospects and other solution providers, and I help the Okta team understand the latest trends the analysts are seeing in the market, so we can bring those insights to Okta and to our customers. Every day is different and that keeps things interesting. I could be working on a submission for a major evaluation, on the phone with an analyst and the Okta team, or onsite at an event hearing directly from the analysts about the latest industry trends to bring this intel back to Okta. And because reading through research methodologies and inclusion criteria isn’t everyone's cup of tea, a big part of my role is helping the broader Okta community understand how they can use analyst research to help tell the Okta story. What's the best part of your role? Through the major analyst evaluations we participate in, like Gartner’s Magic Quadrant, I have the opportunity to showcase all the great work that’s being done across Okta. The research surveys are a massive undertaking, but result in a digestible document that helps organizations who are looking to better understand the market and how Okta can help them achieve their mission. It’s exciting to be Okta’s point person supporting such an important project, not to mention sharing the great results with the world. What's the most challenging part of your role? What I love about Okta's culture is that everyone is game to roll up their sleeves and help out. Because analysts are interested in all parts of Okta’s business, I end up working with so many different teams across the company. I'm always impressed by everyone’s willingness to pitch in without hesitation. You also lead [email protected] Tell us about it! [email protected] is Okta's employee resource group for LGBTQ+ individuals and allies. We’re dedicated to providing support, resources and networking opportunities for the LGBTQ+ community in support of Okta’s commitment to our people. 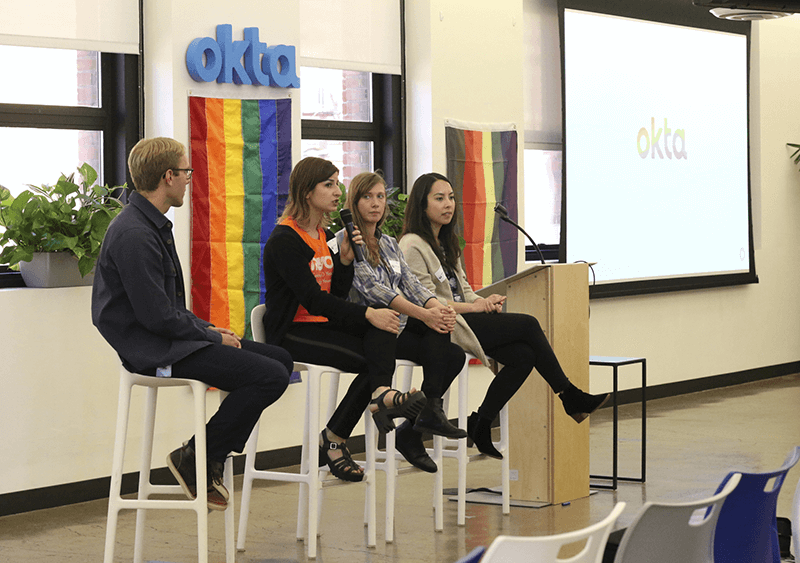 We specifically focus on education around LGBTQ+ topics and issues both at Okta and in the broader community. June is Pride month, so in celebration, we welcomed two of our community partners to speak about their missions: Larkin Street Youth Services and The Trevor Project. It was great to have them join our celebration and hear about the important, life-saving work they’re doing with LGBTQ+ youth. [email protected] is also a really great excuse to show off your best Pride swag! I’ve been swimming for as long as I can remember. I started during the summers when I was little and continued through high school and college and to this current day. Swimming gives me the opportunity at the end of the day to truly disconnect. No screens. No headphones. And especially no spreadsheets. Just brain off, body on. Proud. Of the work we do with our customers and community, and of the whole Okta team who makes it happen. We'd be proud to have you on our team! Check out our open roles here.